May Meeting: Getting on DRTV! Register now! Our next meeting is on Monday, May 13th at Troutman Sanders, LLP at The Chrysler Building, 405 Lexington Ave. The registration deadline is on the 13th at 11:30am. Also, you register for a guest, please include the first and last name(s) of your guest(s) for our list to be accurate for security to the venue. 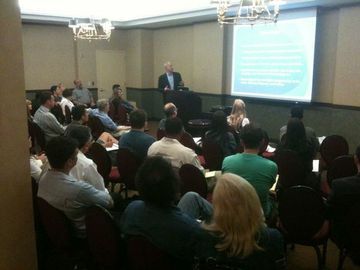 Also, admission to the meeting includes admission to the pitching panel that is held afterward. Topic: “Getting on DRTV”--Figure out how DRTV works and how to get your product on DRTV by the consumer products company that represented the "Snuggie"! Speaker: John Hurley, part of the merchandizing team at Allstar. 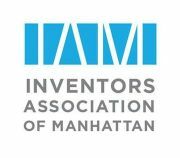 If you're interested in pitching your invention to our pitching panel and audience please see http://www.meetup.com/manhattan-inventors/events/114602702/ for further details and to register (great opportunity for you!). You should have a patented or patent-pending invention and a prototype (or other visual aids) to show our Expert Panel and audience who will provide great feedback. Let me know if there are any questions. Happy Inventing!